I was looking at an email from an attorney. At the bottom, after his signature, it said, “Attorney at Law”. He provided contact information but said nothing about his services. He’s advertising, but doing it badly. Why badly? Because an attorney is what he is, not what he does. Telling people you’re an attorney tells them almost nothing. Do you handle car accidents and help people get compensation for their injuries? Do you help people get amicably divorced? Do you represent big businesses on environmental matters, or small start-ups take their first steps? His email, and everything else he puts out into the world, should tell people what he does. How about you? When someone asks, “What do you do?” what do you say? Do you tell them what you are or what you do? Do you tell them the services you offer? Do you at least tell them what kind of law you practice? Because you’re advertising, whether you know it or not. On your business cards, your stationery, your website, and the sign outside your office, don’t just say you are an attorney or that you offer legal services, tell people what you do. What services do you offer? What benefits do they get when they hire you? What kinds of clients do you represent? Don’t make people ask you what you do or how you can help them. Don’t make them visit your website to find out. Tell them, right up front, “This is what I do and this is how I can help you”. You’ll get more people clicking, calling, visiting, and saying, “Tell me more”. I just met you, and this is crazy. But here’s my number. . .
You just met someone. You give them your card. Then what? What do you do? Do you tell them to call you? Do you give them a reason to do it? Something you’re going to share with them, or something you want to discuss with them? Or do you leave follow-up to them? Okay, maybe it’s too soon to call. Fine. Tell them to go to your website, to see an article you think they’ll be interested in, or a checklist they can fill out, or to download a report that covers the topic you’ve been discussing with them. Because if they see that article or download that report, they will be one step closer to knowing what you do and how you can help them or the people they know. Tell them what to do. Give them a reason to do it. Don’t leave it up to them. Don’t say maybe. Too aggressive? Nah. You’re telling them about something that might benefit them. If they don’t want it, they won’t do it. By the way, what’s on your card anyway? I see some attorneys make the mistake of not putting their website and email on their card. Why? I don’t know. Maybe they don’t have a website or use email, and if that’s true, that’s an even bigger mystery. But then making it easy for people to find out more about you and how you can help them is only one of the reasons we carry cards, and it’s not the most important one. It’s not? No. The most important reason for giving someone your card is to get their card. So you can contact them. Because it’s your practice, not theirs, and marketing and following-up with people you meet is your responsibility. It’s also your best bet for turning a one-time meeting into new business. So, I just met you, and this isn’t crazy. Here’s my card, may I have yours, so I can call you or send you something? 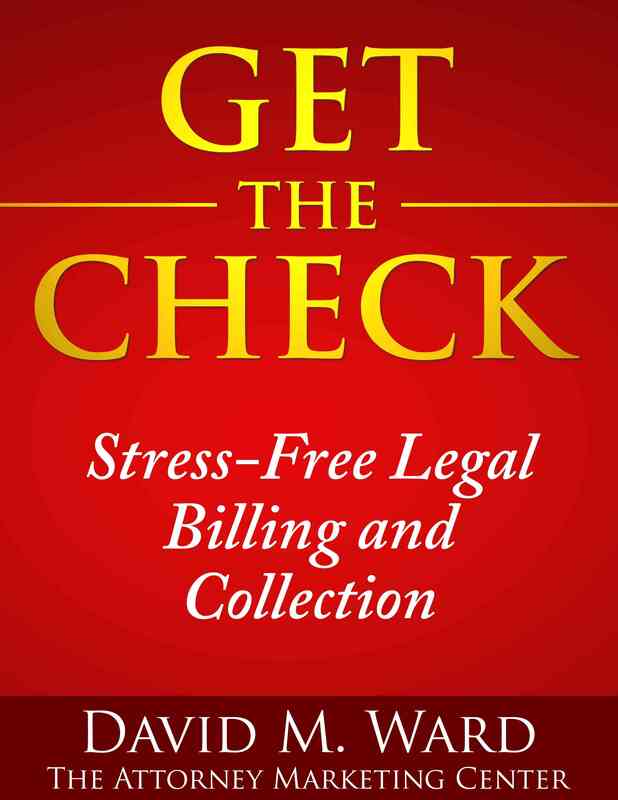 They can’t tell from the word “attorney” and most attorneys don’t identify their practice areas on on their card. You can modify this to suit your practice and the people you’re speaking to. If you know a lot of financial planners, for example, and you’re speaking to people you think might benefit from financial planning, you can add “financial planners” to the list of professionals you know. So what does this accomplish? It gets the person to see you as a resource and a nice guy or gal. Not just someone with a service to sell, but someone who can and will help them. All they have to do is ask. It also suggests that you are very good at what you do. If you know lots of professionals, then lots of professionals know you. That speaks to your success and reputation. Finally, it gives them a reason to hold onto your card. And, because you added the word “okay?” to the end of your statement, whether or not they verbalize a response, it makes it a little more likely that they will call you when they need a referral. 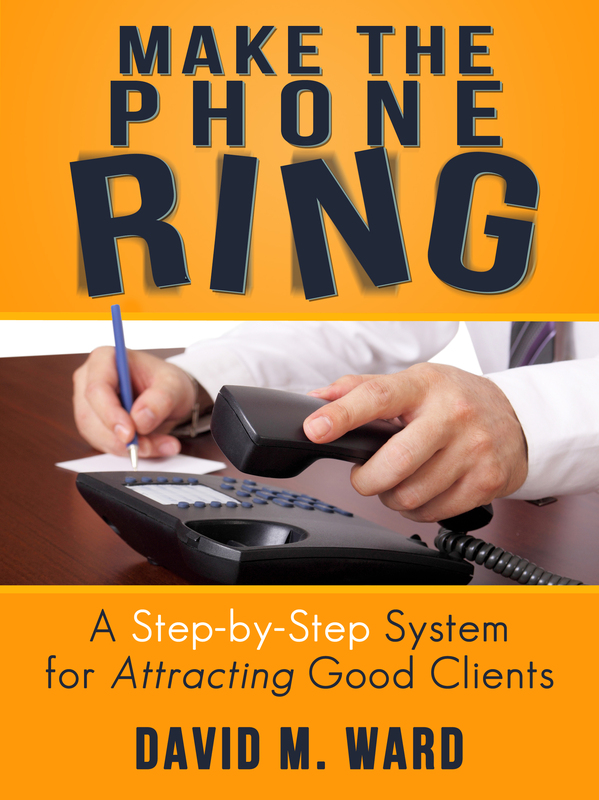 It’s a simple way to make a good first impression, and it gets more people calling. When they do, not only will you have a new contact who is grateful for your help, the professionals you refer them to will also be grateful and primed to reciprocate. There are other things you can do when you meet a new contact, especially if you think they may be a prospective client, but this is something you can and should do with everyone. When people need help, you want them to think of you and remember that they have your card. By the way, when someone asks me what kind of lawyer I am, the first thing I usually say is, “A good one”. I do it with a little smirk and it gets a laugh or a smile and suggests that I’m not overly serious or full of myself as many lawyers are thought to be. I follow that with my “real” answer. 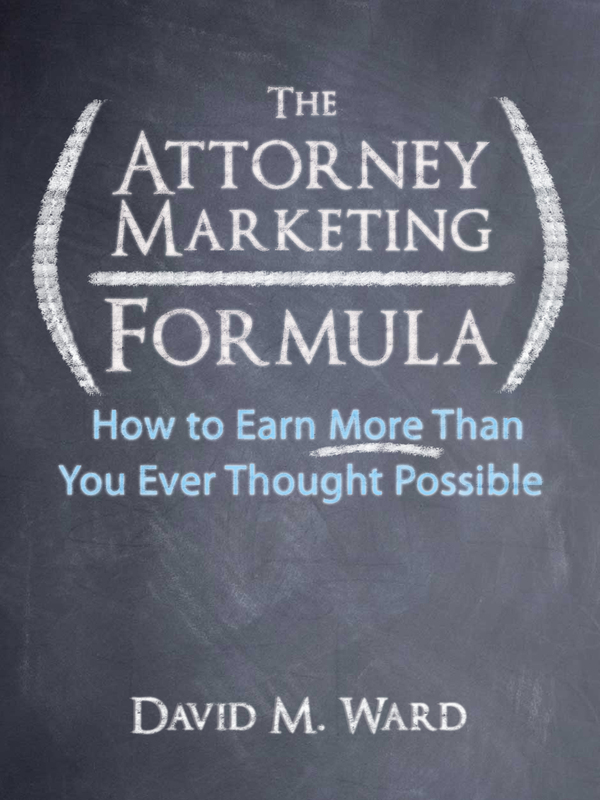 Marketing legal services is easier when you know The Formula. It’s raining and there was a collision in front of my house this morning. Naturally, I grabbed some business cards and ran outside. Just kidding. I don’t do that anymore. Just kidding. I just put on my tee-shirt that says, “Auto accident lawyer” in big print and asked if everyone was okay. Just kidding. I don’t own that shirt anymore. Yikes, I just remembered, when I passed the bar someone gave me a tee-shirt that said “Da Lawya” on it. For realz. Anyway, it’s good to let people know what you do for a living. 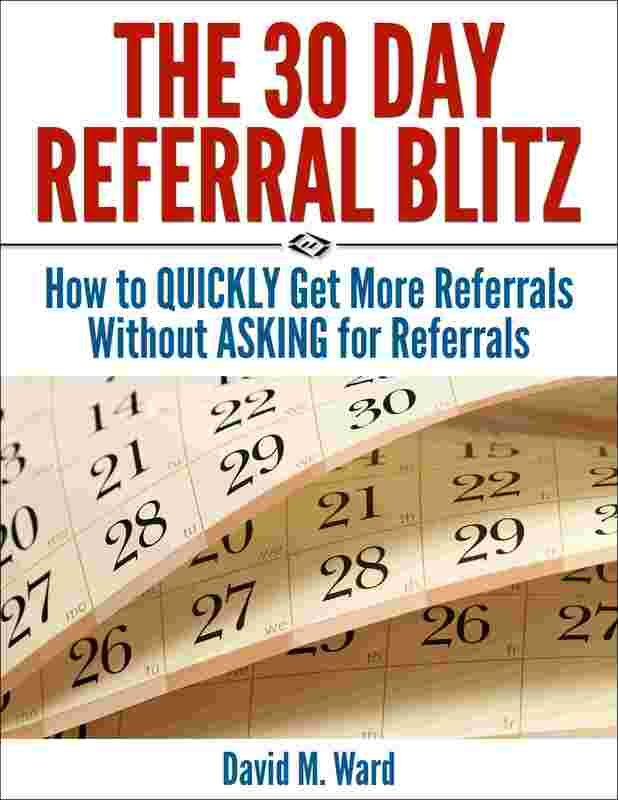 The more people who know, the more chances there are that someone will want to hire you or refer someone they know. So let’s talk about attorney advertising. Not the usual kind of advertising. Not the kind you may not like or may be forbidden from doing. Something different. Easy. And free. Step one: Contact two people today you don’t know, either online or in person, and ask them what they do for a living. Step two: Repeat step one daily. That’s it. Approach two people a day, introduce yourself, and ask what they do. They’ll answer. Then, they’ll ask you what you do. You tell them. Done. After that, who knows. Someone might need you right away, but it doesn’t matter. There are lots of things you can do to continue the conversation and build a relationship. So maybe that’s not really advertising, it’s networking. Whatever. It works. And it’s easy. And you don’t need a tee-shirt. Marketing is everything we do to get and keep good clients. Start here. There’s a commercial running where a family is trick-or-treating and planning their route, so they can scoop up the best candy. The son says to stay away from a house where a dentist lives because he’s giving out dental floss. The father, dressed in a completely ridiculous costume, brands the dentist a “weirdo”. I’ve heard stories about businesses and professionals passing out candy with their contact information printed on the wrapper, or dropping their business card or brochure in the bag along with the candy. So, is this good marketing? No. It’s not. Creative, maybe, but not effective. This is a night for the children and you’re interrupting their fun with your commercial. You’re a weirdo. But that doesn’t mean it’s a bad idea to pass out items with your contact information printed on them. Things like pens, coffee mugs, key chains, calendars, and note pads are a great way to keep your name in front of clients and prospects. “Advertising specialties,” as they are called, are common marketing tools for small businesses, insurance, and real estate. There’s no reason why they can’t also be used by attorneys. Give your clients a coffee mug with your info on it and they’ll see your name every morning. If they need you, they’ll always know where to find you. At seminars, make sure each attendee has a pad of paper and pen with your info printed on them. In addition to your regular business cards, get a card printed with something on the back–the bus or subway route, the baseball schedule, or a calendar–so people will keep the card in their wallet or stick it on their fridge. 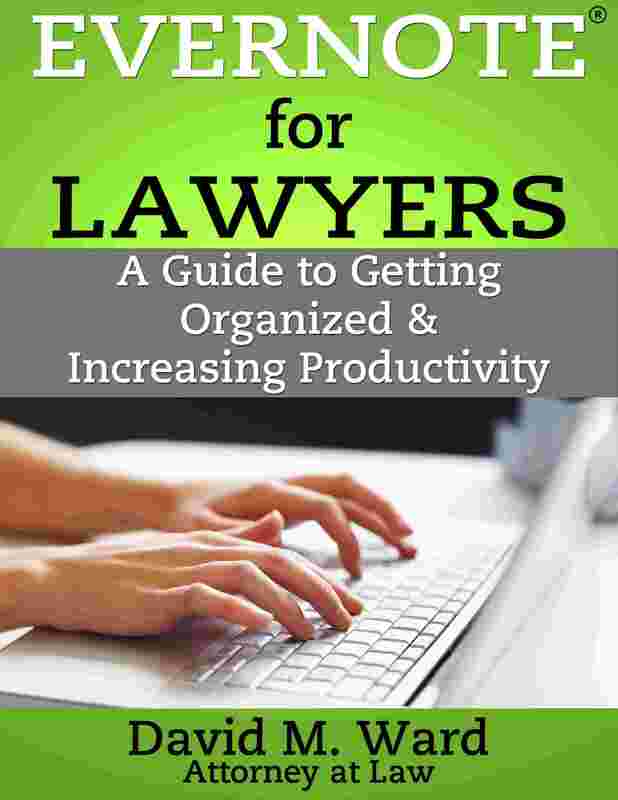 If you’re looking for low cost, effective attorney marketing ideas, this is it. Get something printed with your name, phone, and website and pass them out. Give them to clients, prospective clients, and anyone else you want to remember you. Just don’t do it tomorrow night. Do you know The Formula? Check it out here. Awhile back I wrote a report about business cards–what should go on them, how to use them, that sort of thing. A few attorneys who read the report asked me whether they should put their photo on their business card as they had seen real estate agents and others do. They wanted people to remember their face after a networking event, for example, but thought that kind of card might be unprofessional, especially in court. I pointed out that they could have more than one card. They could have a plain, traditional card to give to lawyers and judges, and a card with their photo, a slogan, a list of practice areas, and anything else they might want, to give to others. They could have several cards, in fact, each one tailored for a specific target market. If they ride a motorcycle, for example, and want to target bikers for their personal injury practice, they could have a card that shows them riding. 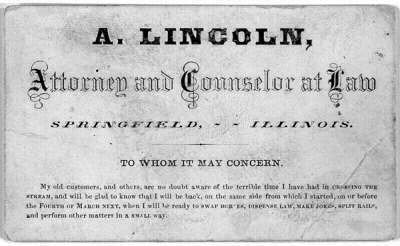 What’s true of business cards is also true for attorney websites. You don’t have to limit yourself to one website. Your could have a main website (or page on your firm’s website) that is plain and professional, to show lawyers and judges, and other websites for other purposes. You can have websites with content optimized for different keywords. You can have websites for different practice areas or different niche markets. You can have a personal blog, where you write about your personal life, causes, and hobbies. You can have more than one business card, more than one brochure, more than one youtube channel, and more than one website. The most effective marketing is targeted marketing. The more focused and specific you are, the more your message will resonate with a specific market. 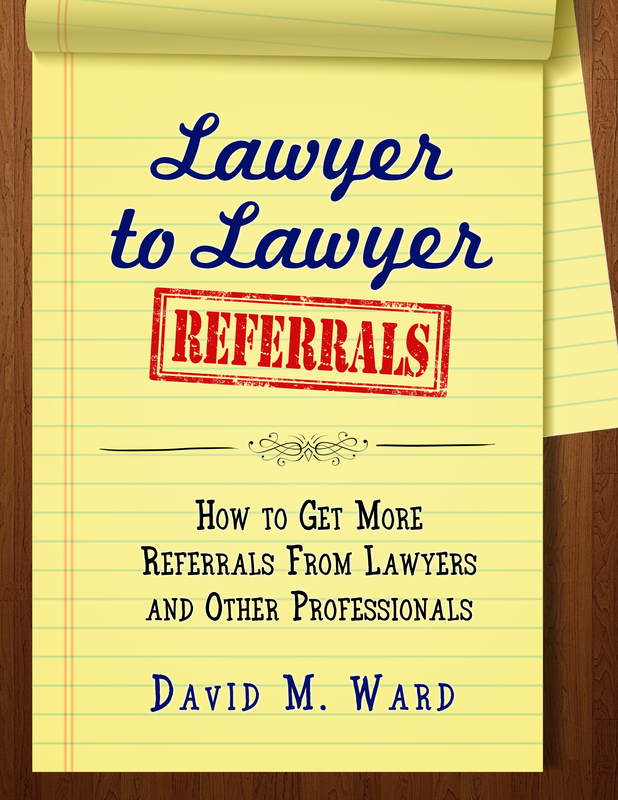 If you want to learn more about attorney websites and Internet marketing, get this. Ah, Christmas dinner with the family. A time to celebrate the holidays and enjoy a good meal. You’ll find out who got engaged, who got divorced, who had a baby, and who has passed. You’ll eat way too much and fall asleep on the sofa. You’ll laugh at your brother’s ridiculous sweater, and pretend to laugh at your Uncle’s bad jokes. You’ll wait for just the right moment and then, you’ll hand out your business cards. “In case you run into someone who needs a lawyer,” you’ll say. Clever, huh? Leverage the family dinner to get some new clients. Hey, why not–it’s family. You can ask the family to pass out your cards, right? No. They already hate you because you make so much money and think you’re so smart. Okay, maybe they don’t hate you, but you still shouldn’t pass out cards. Not because it’s “bad form” at the Christmas dinner but because it’s “bad marketing”. It’s not going to get you any business. Your family already knows what you do. They have your phone number. If they run into someone who might need you, they’ll tell them. Besides, they still have the cards you gave them last Christmas. So what’s better? What should you do at the family dinner? Nothing. Relax. Enjoy the evening. Have fun. Your best marketing tool isn’t your card, it’s you. The fun, likable, overeating, asleep on the sofa you. 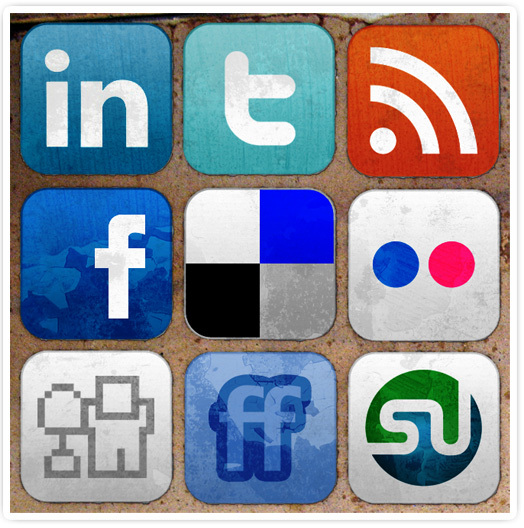 A social media hub page is a virtual business card: a single web page with a brief bio (or link thereto) and links to your websites, blog, Facebook, Twitter, and other social media accounts. This allows you to provide a single link in your email signature, your (paper) business card, in an article byline, and anywhere else your name appears in print or online. A single link is clean and professional looking, one reason why virtual business cards are becoming more popular. I’ve experimented with different options. Recently, I set up an account with about.me. My page was easy to set up and customize. I uploaded a background image (me, looking fierce) but did not include a bio. Instead, I listed my professional roles as attorney, writer, and entrepreneur. If you click on the doo-hickey at the top of the page, it will take you to a random assortment of other about.me pages, many of which are quite creative. Great for ideas. About.me is integrated with Klout, a new social media “rating” service that tells you how influential you are in the online world. It also tells you who you influence and who influences you. I’m not sure how useful this is but it’s interesting to watch my klout index increase. I also set up an account with flavors.me, which allowed me to create an almost identical page. They have a paid version ($20/yr.) with added customization features. Attorney Dan Gold set up a page on flavors.me and took advantage of those upgraded features. About.me is free; I couldn’t find a paid version. I’d like to see more options for configuring pages, like the paid version of Flavors.me seems to provide, but all in all, this is a great way to quickly set up a virtual business card. Give it (or flavors.me) a try. Send me a link to your page and I’ll feature it in a future blog post. Are you ignoring prospects who don’t have a computer or smart phone? There are billions of people in the world who aren’t able to read this. No, not attorneys, although I’m sure there are still a few who haven’t evolved into the 21st century. But they aren’t my target market. Would I like to communicate with them? Sure. But I’m willing to lose, say, the 5% who aren’t connected, in favor of the economics of reaching the 95% who are. How about you? Is your target market connected? Do you know how many are not? If a significant percentage of your target market isn’t online and you do most of your marketing online, you obviously need other ways to communicate. But what if the bulk of your target market is online? Can you safely ignore the few who aren’t? If you’re just looking at the numbers, sure. But there are some situations where it makes sense to have other options. Take business cards, for example. There is a trend today towards the digital business card whereby you collect the other person’s information digitally in your smart phone, via a a “bump” or other method, and they collect yours as well. You don’t need to carry paper business cards, all you need is your phone. There’s nothing wrong with a digital card, of course; it does save the effort of manually transferring information from paper to your electronic database and it’s kind of cool. But what about the prospect who doesn’t have a smart phone or the right app to collect your information? If all you have is a digital card, you may have squandered an opportunity to make a potentially lucrative new connection. Whether or not you’ve gone digital, you still need to carry (paper) business cards. And, if you do carry paper cards, you shouldn’t assume the people you give them to can read your QR code. Have your practice areas and other information printed on the card as well. I love technology and use it extensively; you may, too. But we shouldn’t assume that everyone knows what we know. I’m not saying you have to translate all your marketing documents to print or do a print newsletter in addition to your ezine, unless most of your target market is offline. But with something as inexpensive and effective as a business card, there’s no excuse for not having them. High tech marketing may be the future but low tech will always work–and you never have to worry about a dead battery.